What a great way to start the new year - I spent the day in my sewing room! I got this wonderful Christmas present from my husband. 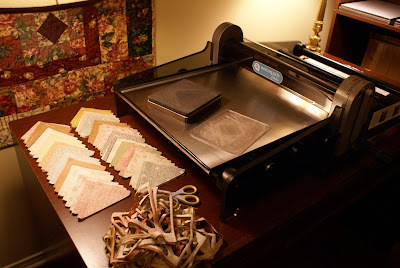 The Accuquilt Studio Fabric Cutter - and I love it. 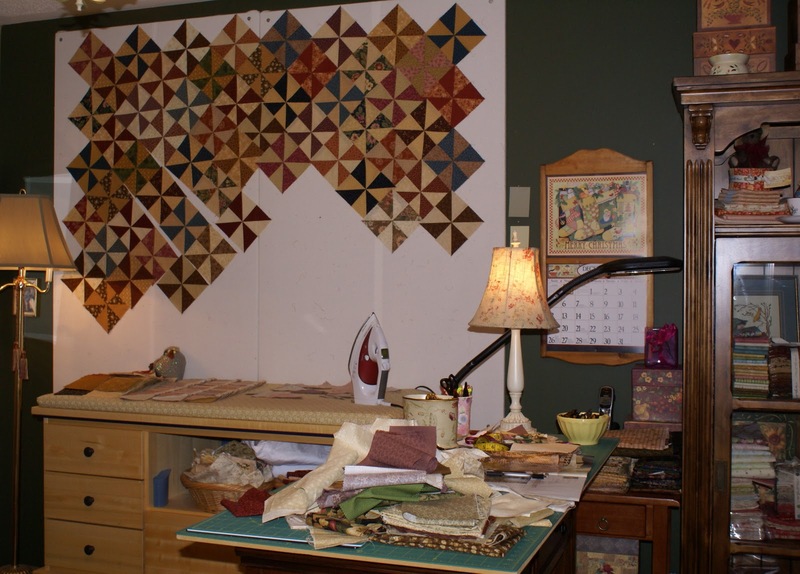 One of the basic shapes that came with Accuquilt Studio is this triangle die. The corners are cut so there are no dog-ears to trim when the triangles are pieced together. How great is that? I was careful with pressing and folding my fabric before cutting so there was minimum fabric wasted. 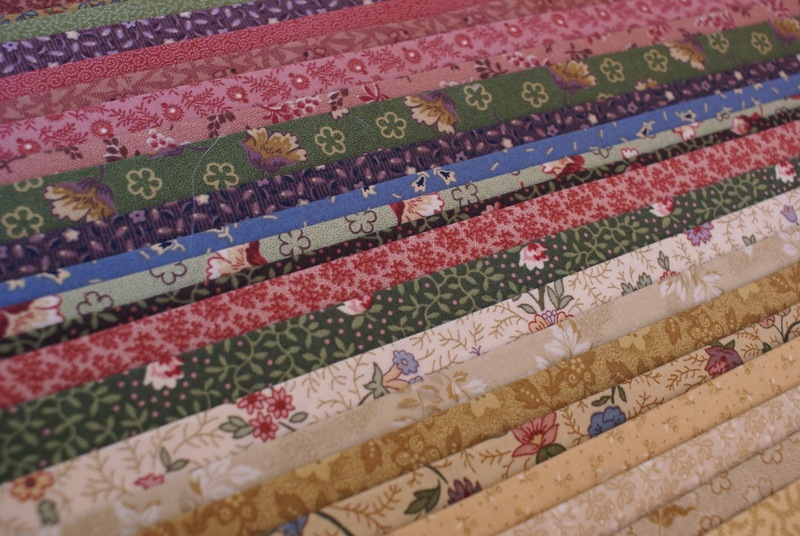 This is going to be another scrappy quilt. I'm using this selection of Thimbleberries fabric plus other coordinating fabrics from my stash. I hope you all had a wonderful start to the new year and best wishes for 2011.